Broecker, W, 8., and Denton, G, (1989). The role of ocean-atmosphere reorganizations in glacial cycles. Geochim, Cosmocbim. Acta., 53,2465—2501. Dalziel, I, W. D, (1997). 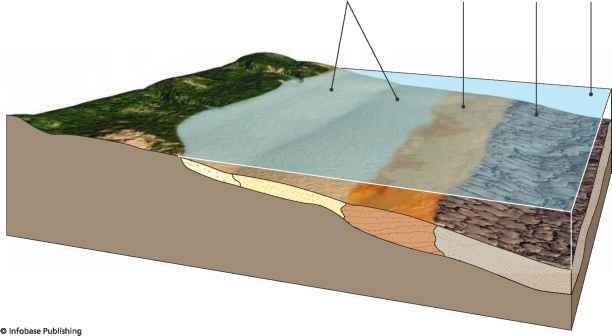 Neoproteriozoic-Palcozoic geography and tectonics: Review, hypothesis, environmental speculation. GSA Bulletin, 109(1), 16—42. Dnplessy,J.-C.,Labcyrie, L,,Juillet-Leclerc, A,, Maitre, R, Dupart,J,, and Sarnthcin, M, (199J}r Surface salinity reconstruction of the North Atlantic Ocean during the last glacial maximum. Ocean ol. Acta. 14, 311-323. Heinrich, IL. (1988). Origin and consequences of cyclic ice rafting in the northeast Atlantic Ocean during the past 130,000 years. Quat. Res., 29, 142-152. Hoffman, P. E, Kaufman, A, J., Halverson, G. P., and Schrag, D. E. (1998). Carbon isotopes in Namibean rocks - new argument for the "Snowball Earth." Science, 281, 1342-1346. Hyde, W. T, Crowley, T J,, Baum, S. K., and Peltier, W R. (2000). Neoproteriozoic "Snowball Earth" simulations with a coupled climate ice-sheet model. A'uture, 405, 425—129. Although the main focus of this chapter is to assess our understanding of climate on decadal-to-millenial time scales, it is also sometimes useful to step back and see what we know on very long ones (millions to billions of years). One reason for doing: so was illustrated by a question that was raised after this paper was presented. The questioner asked, "Wouldn't the radiative forcing from atmospheric CO? increases saturate once CO? reached a certain value, say, 2-A times the preindustrial level?" This question is relevant to long-term anthropogenic global warming because it is conceivable that fossil fuel burning could eventually raise atmospheric CO2 levels to 8-10 times the preindustrial value if we consume the bulk of the available fossil fuel within the next few hundred years. My answer to this question was an emphatic, "No!" Climate model calculations performed for the early Earth have shown that the radiative forcing from CO? remains roughly log-linear (1.5-4.5 C for each doubling of CO2 and ^10 C for each factor of 10 increase in CO2) up to a factor of at least 1000 increase in atmospheric CO2 levels. The reason is that, as the strongest CO2 absorption bands - the 15 fim band in particular - become saturated, weaker absorption bands at other thermal-infrared (tK) wavelengths begin to become important. This faet is well known to planetary scientists who have tried to simulate the greenhouse effect of Yenus's dense CO2 atmosphere, and it is incorporated in climate models of the early Earth that rely on high CO2 abundances to offset reduced solar luminosity early in the Earth's history. It is occasionally overlooked by climate modelers who are mainly interested in the response of Earth's climate to more modest (factor of 2) changes in atmospheric CO? levels. I mention this because it is one example of how developing an understanding of climate in its broadest sense can shed light on important points that might otherwise be missed.